Is the Subaru Levorg the next-generation Liberty Wagon? Well, no — at least according to Subaru. 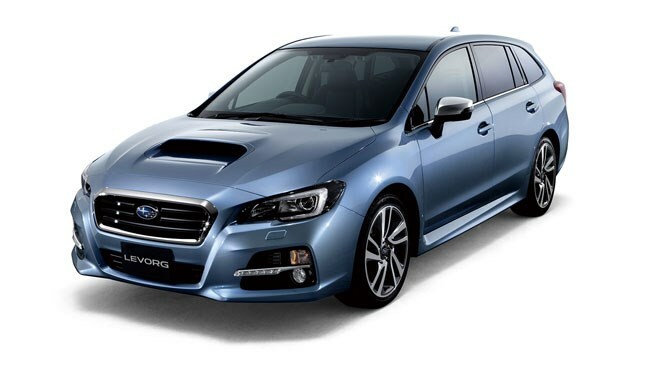 Production versions of Subaru’s Levorg Sports Tourer, introduced in prototype form at the Tokyo motor show, will be available with a choice of two four-cylinder turbo petrol ‘Boxer’ engines. The entry-level 1.6-litre unit produces 125kW/250Nm, the larger 2.0-litre donk an impressive 221kW/400Nm. Both motors feature standard idle stop/start and two trim levels — GT and GT-S — are offered. The latest version of Subaru’s Lineartronic CVT will be the standard transmission, the 2.0-litre unit gaining a sport mode which allows eight-speed ‘stepped’ shifting. Naturally, Subaru’s symmetrical all-wheel drive is standard-fit. All models feature EyeSight technology, updated with wide-angle cameras that provide better visibility and colour clarity. EyeSight can also produce steering input to avoid obstacles. Additional safety features include an active lane keep system, brake light recognition, adaptive cruise control and pre-collision control to braking and throttle management. Levorg is due to go on-sale in Japan by Q2 2014, with the updated Liberty expected to land in 2015. 1 / 2 Is the Subaru Levorg the next-generation Liberty Wagon?